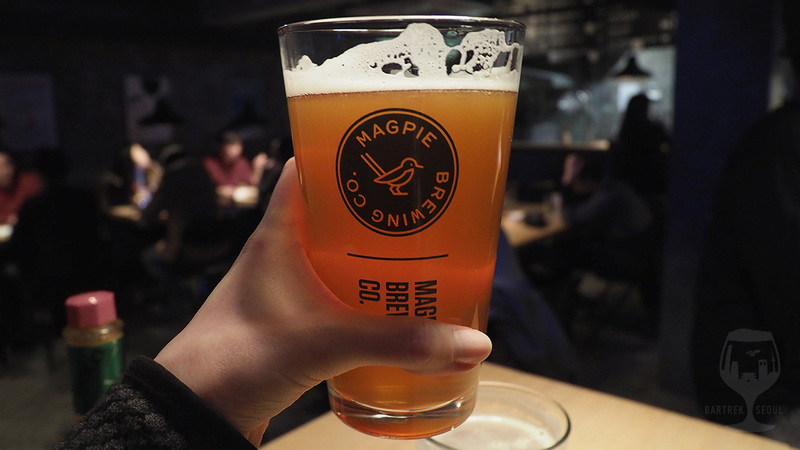 One of the true pioneers of Korean craft beer, Magpie is one of the trendiest and most popular spots to enjoy quality Korean brews. 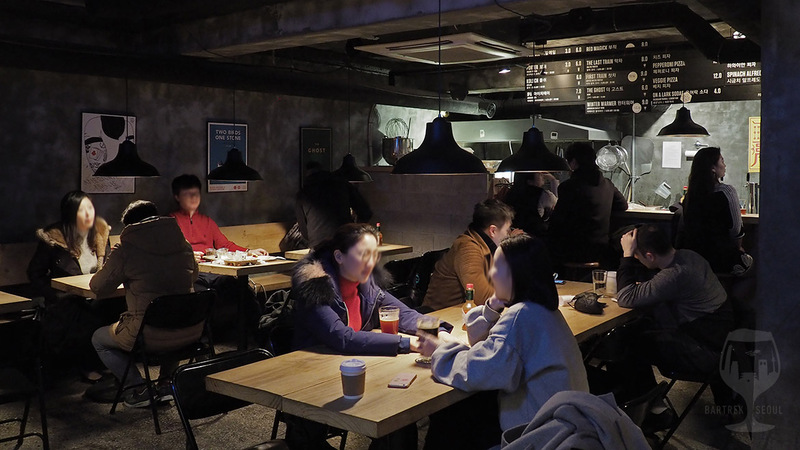 Their signature Pale ale is one of the pillars of the craft beer trend in Korea, but their menu includes other gems and seasonal beers, as well as pizza and craft soda. 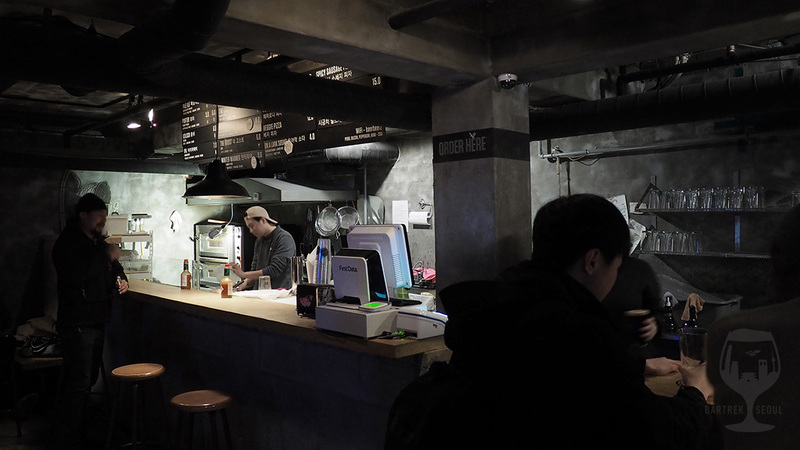 Their location in Noksapyeong includes a street-level bar as well as a larger basement. 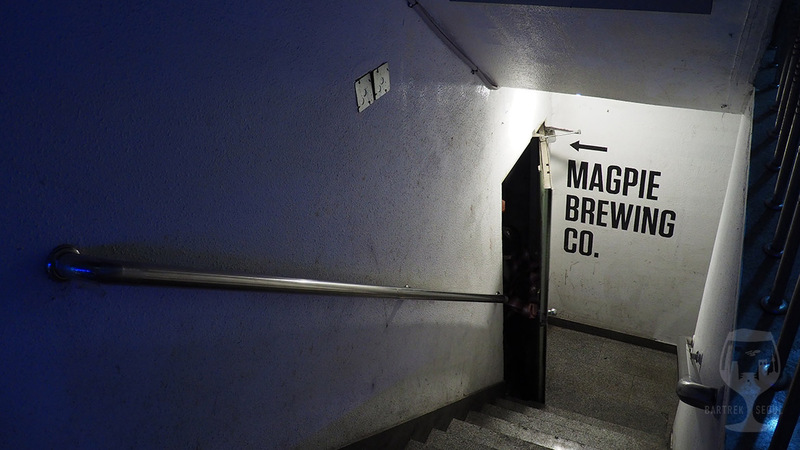 We originally trekked here for their Red IPA smackdown, a show match between some of the top craft breweries in Korea all making Red IPAs from the same ingredients. The even was later followed by a talk and Q&A with the brewers and 20 lucky guests. Unlucky for us, the Red IPAs were sold out already at 7 pm, with only Magpie’s own still on tap, so it appears the event attracted enough thirsty visitors. On weekends the pub is often full to the brim. 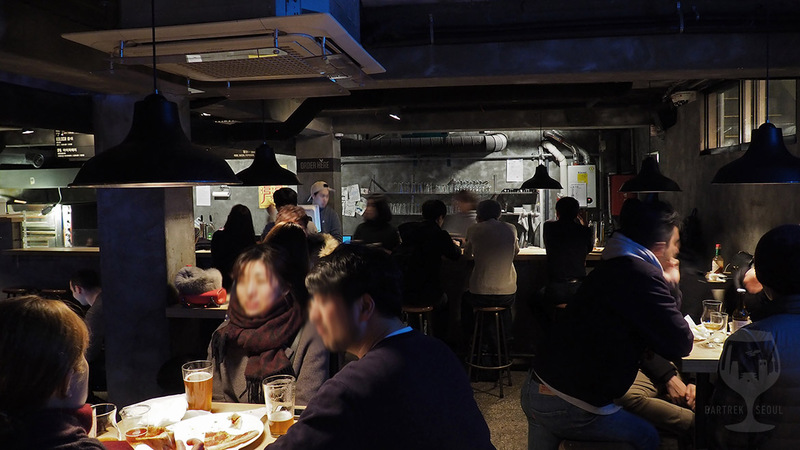 The basement interior is flawless, with plenty of seating and perfectly dim lighting. The music is not too loud, but sounds very dull compared to the sharper sound of people chattering. Do note that, a rare pleasure in Korea, the music played is excellent in the sense that it has some continuity. From current pop music to more classic tones like Queen and even The Strokes, the playlists here actually play a few songs in a row from the same band, even whole albums. 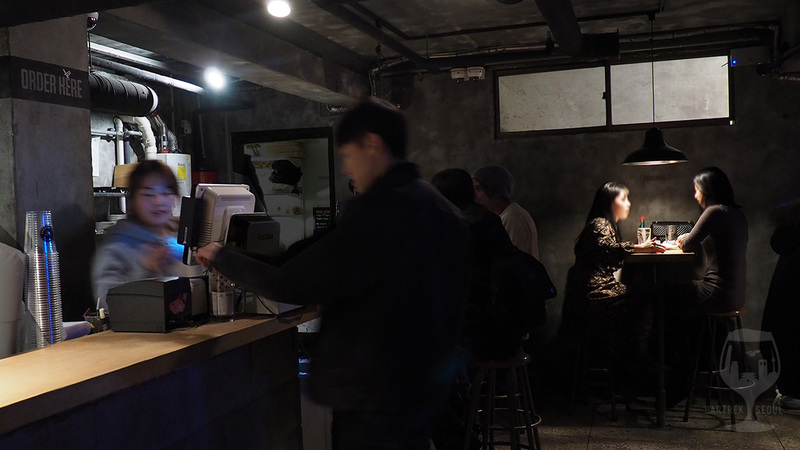 In other Seoul venues the playlists are normally more schizophrenic, jumping from k-pop and k-rap (shudders) to jazz and hard rock providing an unpredictable mood. We love the magpie’s logo! Magpie’s Red Magick red rye IPA is one of our current favourites. Now this is what we came here for. Magpie’s Red Magick red rye IPA is a great brew, fresh, a little bitter, rich body and well worth a visit. 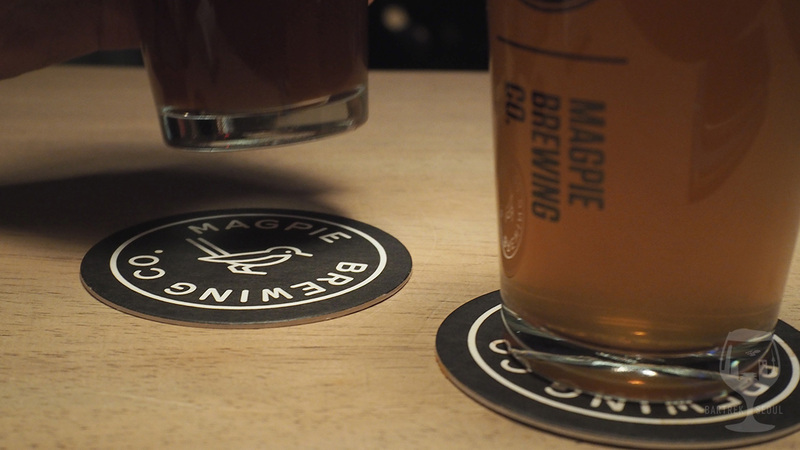 Magpie’s tap list includes common tastes like porters and pale ales as well as goses and barley wines. In 2017 they served a whopping 20 seasonal beers, so don’t be afraid to stop by more than once. They also serve a variety of pizzas, including a veggie option, which are thin and crisp but still bursting with that classic, oily pizza flavor that can really hit the spot. Their IPA is a little on the daft side if you like ’em hoppy, so you might want to consider their pale ale if you are after a sharper flavor. 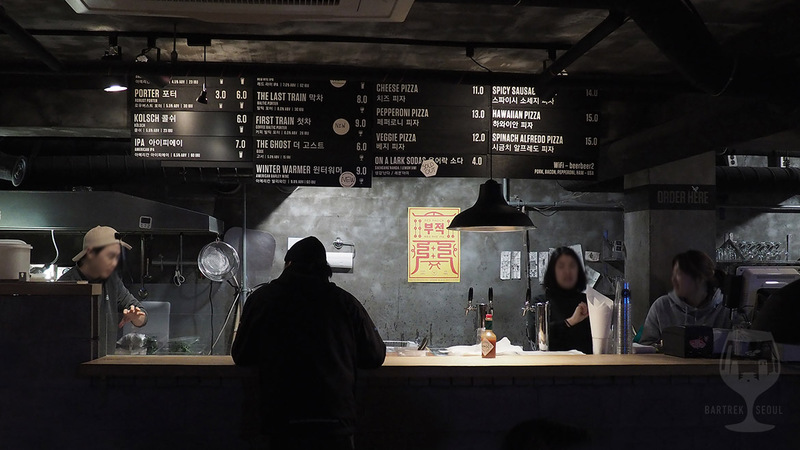 Their classic Porter, Kölsch and Ghost are definitely worth a try or two if you want to taste a part of Korean craft brewing history. Due to their prime location and fame, getting a table during the weekends can be difficult, but not impossible. The staff is friendly and English is no problem. The menu consists of craft beer and pizza. Magpie’s talented in-house graphic designer, Kevin Benishek, illustrates a poster to reflect each new Magpie beer. Around the bar you can find Magpie’s own posters, with a bittersweet reminder of seasonal beers no longer available. Magpie has one of the most complete visual identities of the Korean breweries, and strikes a good balance between established and playful. 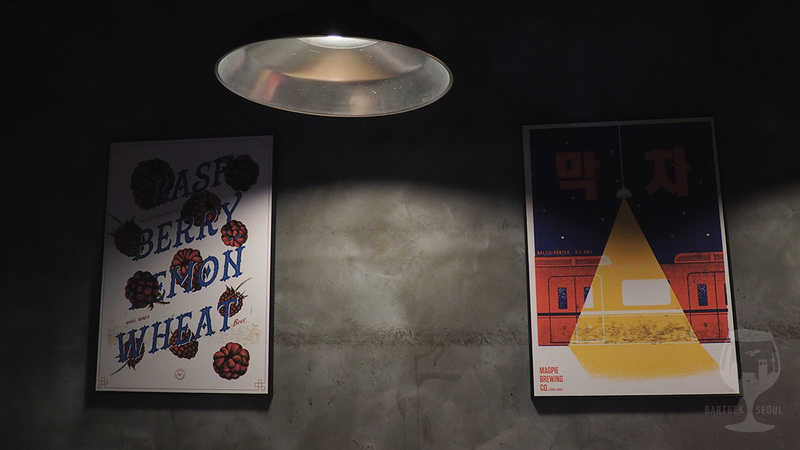 Every beer is paired with a poster, and even the posters change slightly over time. Magpie merch is also available if you, like us, fall for the simplicity. Another view to the counter. A view to the tables. The other side of the counter. This is the other entrance to the basement pub. 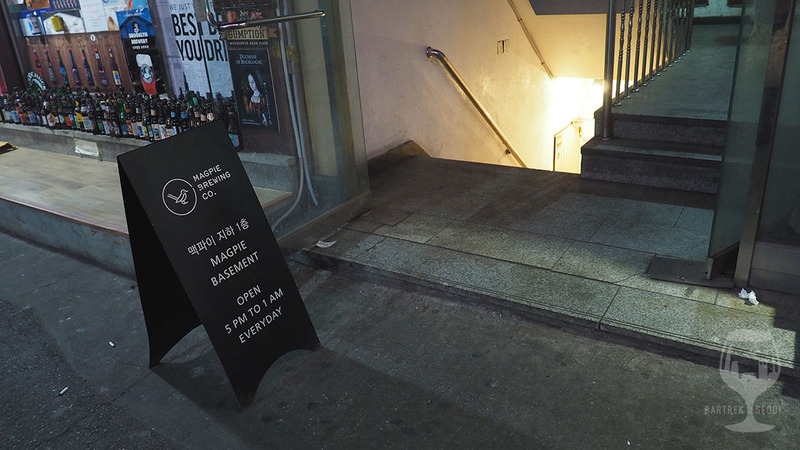 You can access the basement directly from the Kyungridan-gil street. There is another black plate to indicate the location, but it can still be hard to spot.